Acting quickly to move away from Windows 8, HP will start pre-installing Windows 10 across its old and new PCs and tablets within days of the release of the new OS on July 29. One of HP's first products with Windows 10 will be the 8-inch Pro Tablet 608 G1, which will ship in July with Windows 8.1 and then come with Windows 10 pre-installed starting in August. Customers buying the tablet in July will be able to upgrade free to Windows 10 for one year in line with Microsoft policy. 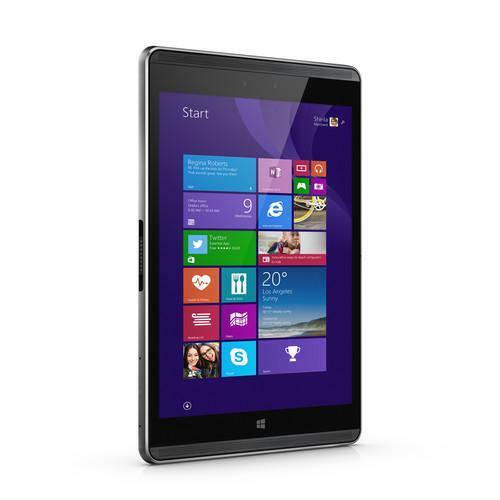 The tablet, which starts at $US479, is targeted at business users. The tablet's screen displays images at a 2048 x 1536-pixel resolution, and its ability to display more content on screen could make note-taking more convenient. Other PC makers are also expected to move quickly to pre-install Windows 10 on desktops, laptops and tablets. Dell is expected to offer Windows 10 on its PCs starting July 29, while Acer and Lenovo will soon follow. PC makers have said the new OS could bring relevance back to Windows, which lost some goodwill following Windows 8. Windows 10 marks the return of the Start menu and boasts new features like biometric authentication, the Edge browser and the Cortana personal assistant. HP wants to pre-load Windows 10 on PCs and tablets soon so back-to-school buyers can get a hold of the new OS. All the PCs and tablets released this year are ready for Windows 10, said Mike Nash, vice president at HP, during an interview. Microsoft is providing free upgrades to Windows 10 from Windows 7 and Windows 8.1 for one year. HP wasn't sure when Windows 10 would be released, so it made sense to keep PCs ready for the new OS, Nash said. But there's a difference between upgrading to Windows 10 and having the new OS pre-installed, particularly on PCs. Upgraded PCs will have Windows 10 as the default OS, but they will still have Windows 8.1 as the recovery OS. PCs with Windows 10 pre-installed won't have a trace of Windows 8. HP worked closely with Microsoft to prepare its PCs and devices for Windows 10. The PC maker worked with Microsoft on building drivers, user interfaces and BIOS-related features related to Windows 10, said Nash, who previously was corporate vice president for the Windows Platform at Microsoft. HP is particularly keen on bringing Windows 10 to its hybrids as the new OS is better at adapting to different PC usage models, Nash said. Hybrids running Windows 10 will be able to automatically switch between tablet and desktop interfaces, based on a device's position. Windows 10 is more sophisticated at analyzing sensor data, which helps identify whether the device is in laptop or tablet mode. With the Pro Tablet 608 G1, HP sees potential advantages from packaging Intel's new Atom chips code-named Cherry Trail with the new OS. The Cherry Trail chips provide faster application and graphics performance than previous Atom chips. The Pro Tablet 608 G1 is 8.35-millimeters thick and has a USB Type-C port for charging and data transfers. It has a two-megapixel front camera, eight-megapixel rear camera and up to 128GB of storage. Nash couldn't say when the Pavilion X2 hybrid and Envy laptops, also announced on Thursday, would come with Windows 10 pre-installed.